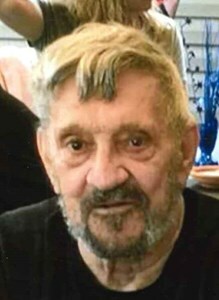 Newcomer Family Obituaries - Earl B. 'Bernie' Jenkins 1934 - 2019 - Newcomer Cremations, Funerals & Receptions. Earl B. "Bernie" Jenkins, 85, passed away April 11, 2019 at home. Born in Zanesville, Ohio to Wayne and Florence (Snyder) Jenkins, he lived in Akron all of his adult life. Bernie enjoyed carpentry, bowling, golf, bingo, vintage cars, working in the yard and spending time with his grandkids. In addition to his parents, he was preceded in death by sister, Mary Jane McKitrick; brother, Wayne, Jr. He will be sadly missed by wife, Nancy; children, Kenny (Linda), Randy (Marla), Joshua (Allison), Kori Jenkins; grandchildren, Bryan, Stephany, Randy, Jr., Adam, Karsten, Eva, Juliana, Sophia, Emmerich; great grandchildren, Camden, Grayson; sister, Bonnie Duncan; brother, Charles (Gloria); several nieces, nephews and friends. The family will receive friends Thursday, April 18th from 5:00 to 7:00 p.m. at Newcomer Funeral Home, 131 N. Canton Rd., Akron. The funeral service will take place Friday, April 19th at 11:00 a.m., with Pastor Robert Webb officiating. Inurnment at Ohio Western Reserve National Cemetery at a later date. Add your memories to the guest book of Earl Jenkins. To: Nancy, and family. I wish to send you my sincerest sympathies. Bernie was a caring, loving guy to Nancy, and her son. He was a funny, ornery guy , told silly jokes. I never met the kids, but I'm sure he was a good Dad, and Grandpa. Bernie will be missed. R I P !